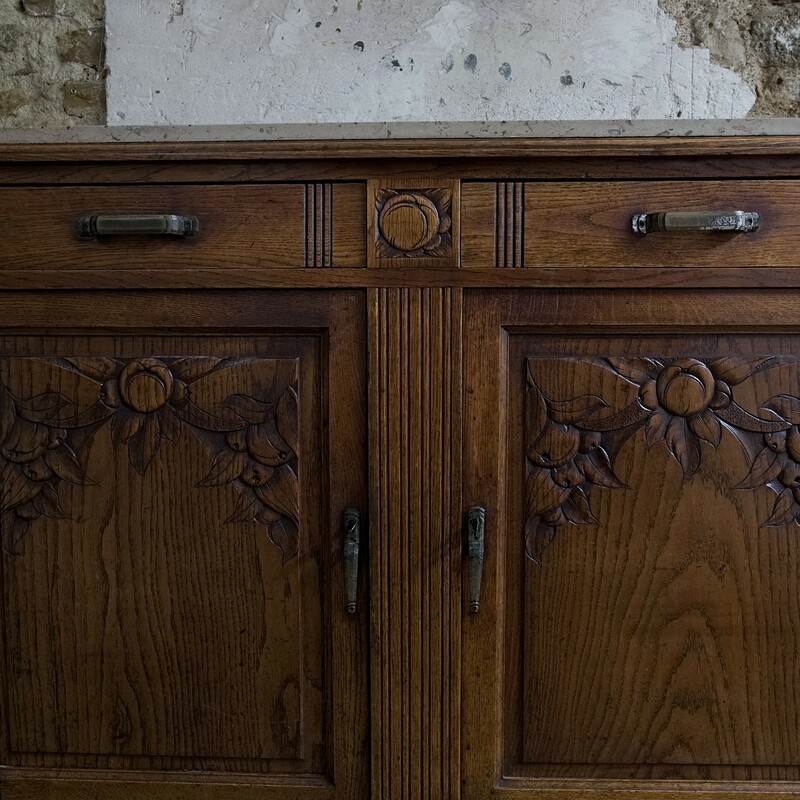 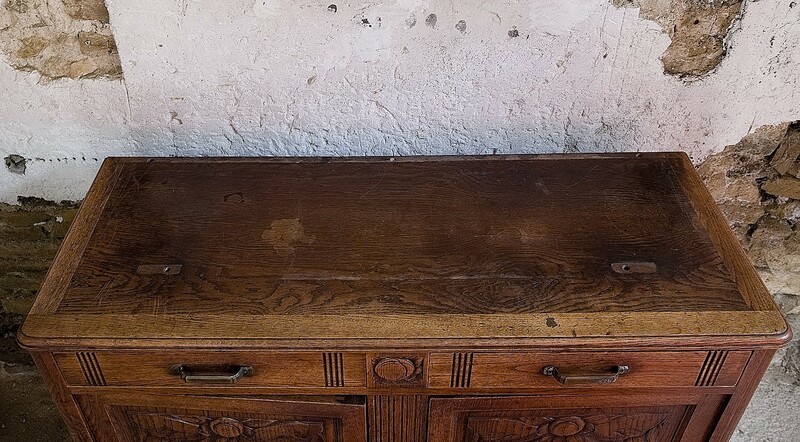 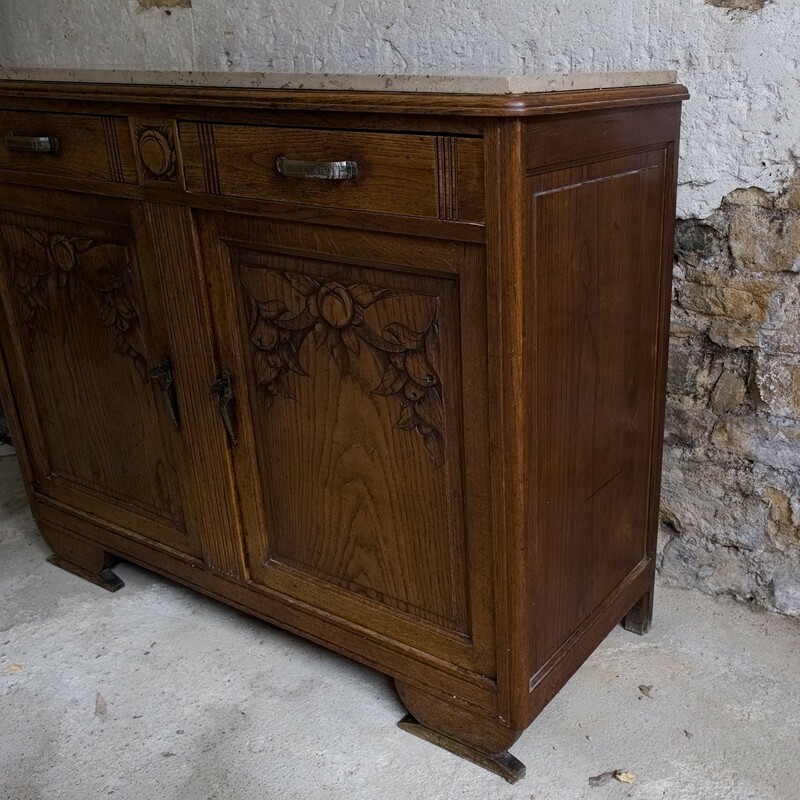 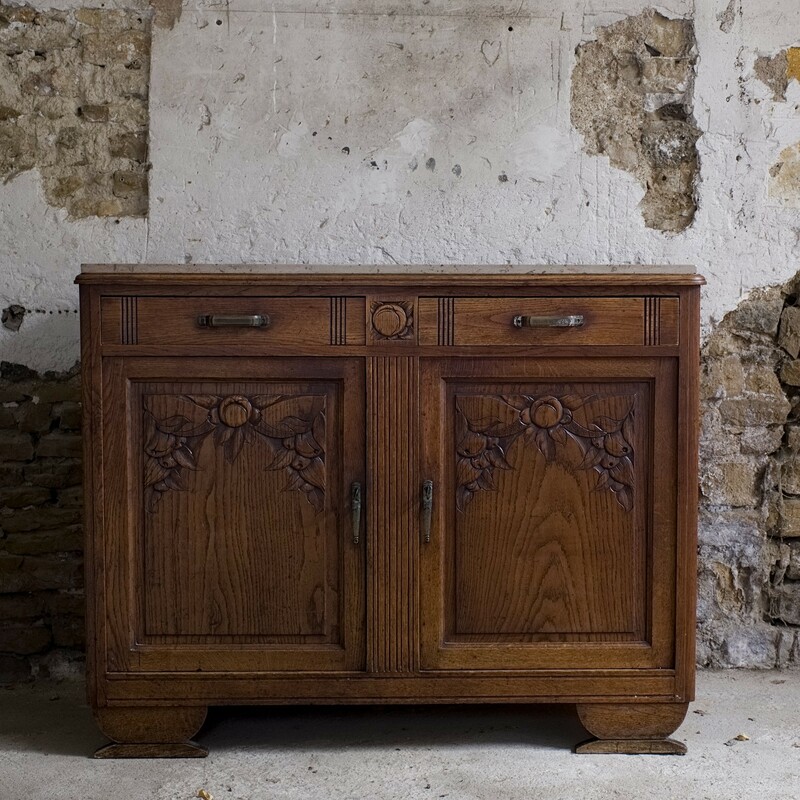 Stylish French solid oak sideboard with carved doors. 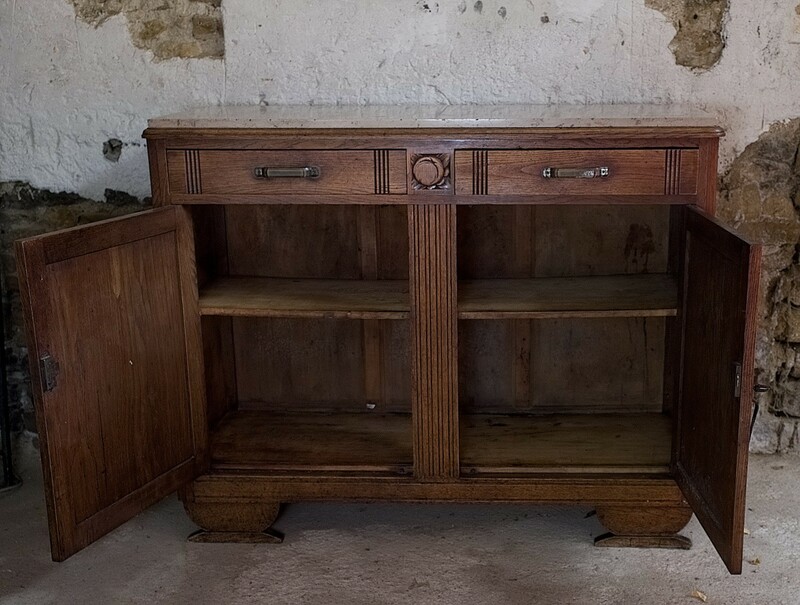 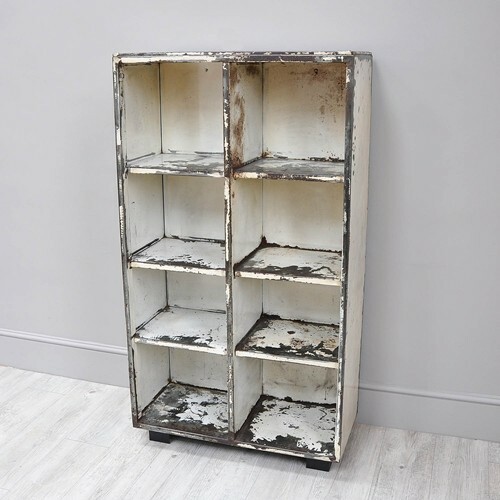 Large cupboard with one shelf and two drawers above. 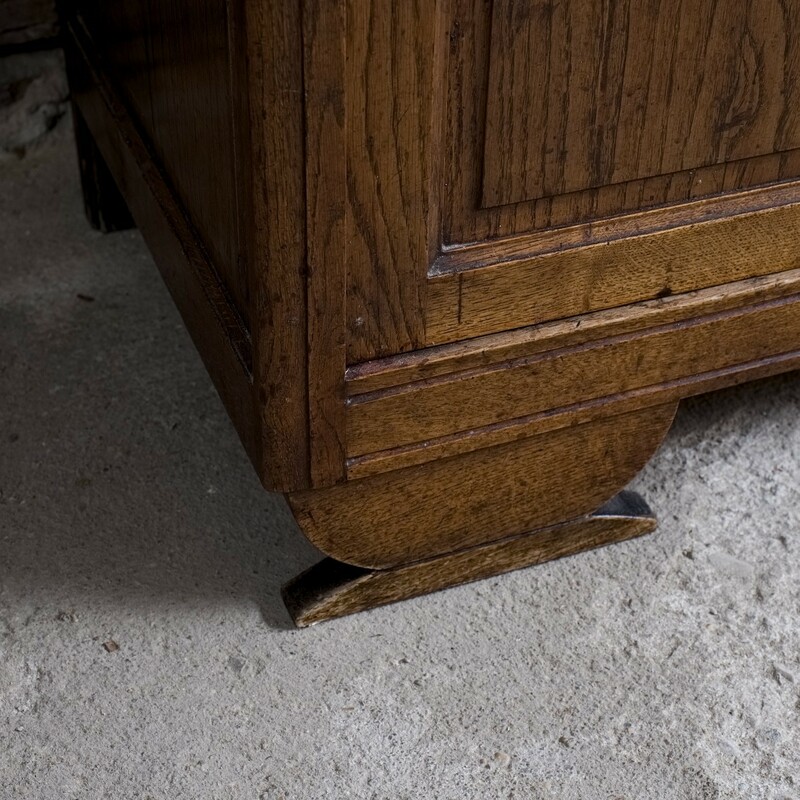 Very sturdy piece! 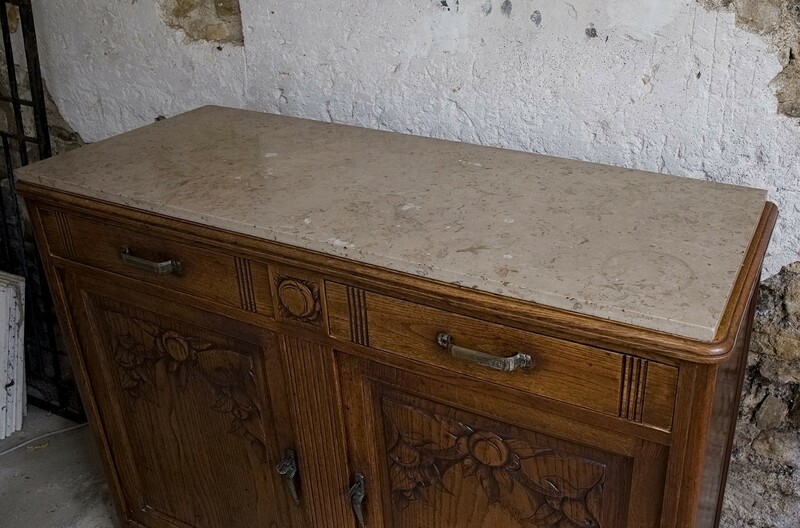 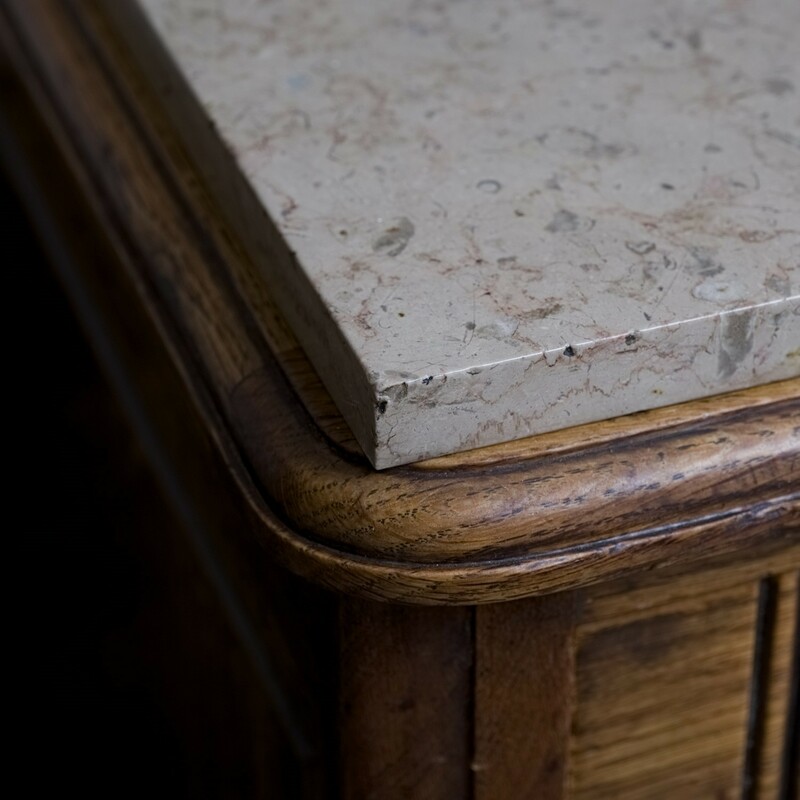 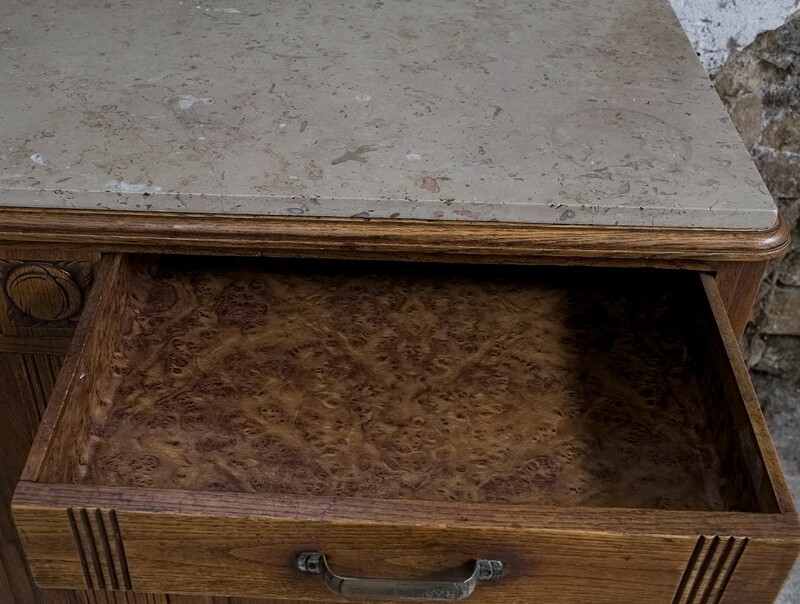 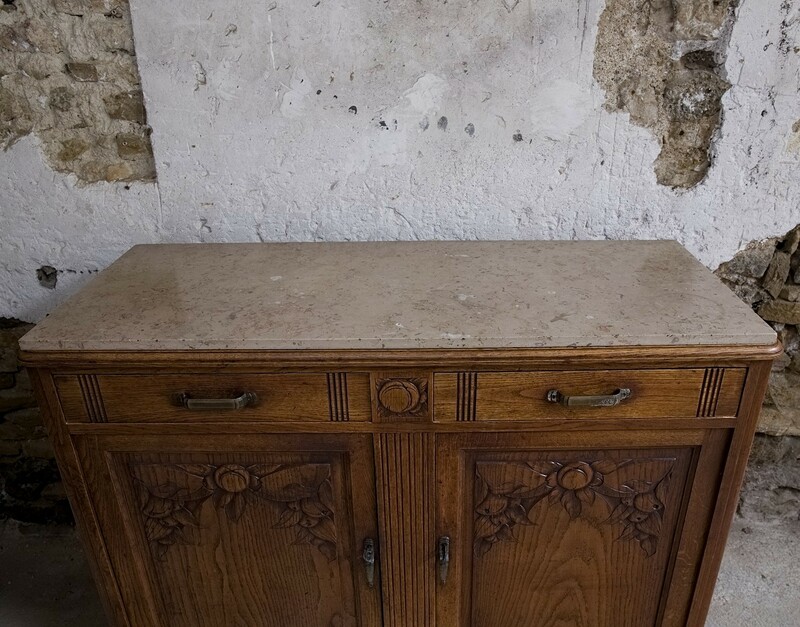 The marble is not original, as you can see, but it's an excellent fit.